For years now we’ve been hearing about why cloud-based business is better business. Little wonder that by 2020 some 78% of businesses will be ready for life in the clouds. But as data scales and hosting costs soar – along with desire for control and speed, there’s a case to be made for getting out of the free-for-all public cloud and back to earth with on-premises or private cloud solutions. It’s not just a hypothetical. Some of the biggest players in the digital space are leading the way. WhatsApp has made the switch. And so too has file-sharing site Dropbox – a move that saved them $74.6 million in just two years. Let’s take a look at the factors you should weigh when considering cloud-free business skies. Building a castle in the cloud can be a good business decision when your business is young and your data storage needs aren’t excessive. Cloud storage can be much cheaper than building your own datacenter. But given that cloud-based storage providers charge based on your storage needs, costs can skyrocket as your data does. What you do with your data can also have an impact on your bottom line. Data analytics services, for example, charge based on how much data you process each month. There’ll be a point where, even accounting for the costs of a data migration, it’ll make financial sense to switch to an on-premise or private cloud solution. Don’t wait until you get a bill that makes you balk. Be proactive and determine a break-even point. Speak to your engineering team to gauge your current and projected data storage and analytics needs. Get a firm break-even figure, and when you approach it start making plans to switch. If you’re handling sensitive data, the break-even point mentioned above is irrelevant: you need to get out of the public cloud. Because private data that goes public or falls into the wrong hands spells disaster. Businesses working in heavily regulated verticals like the medical and financial industries and that must meet exacting HIPAA and PCI DSS requirements are all too aware of this. Regulation in other industries may not be as stringent, but the risks of a breach can be significant. If the cost of migrating to an on-premise or solely private cloud approach doesn’t make business sense, there are a couple of solutions you can consider. One is to be selective about the data that makes it into the cloud. 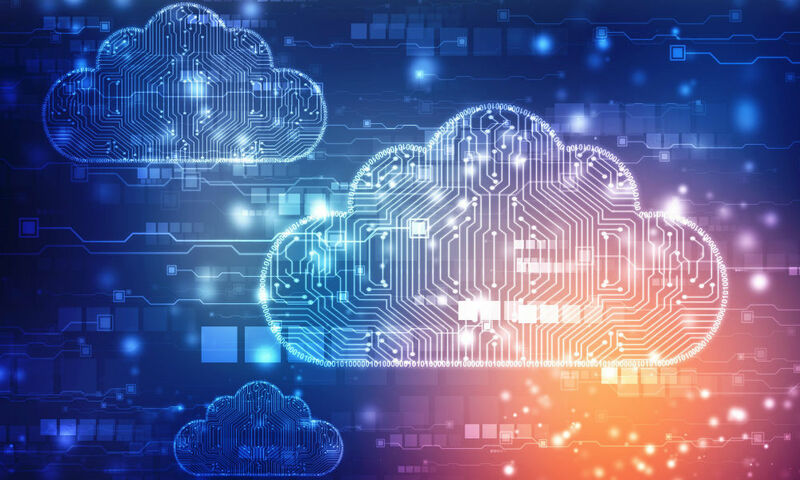 The other is to opt for a hybrid cloud solution, where sensitive data is sent to the private cloud, and less sensitive data to the public cloud. Speak to your security team and data storage provider about your data security needs to determine the right path forward. Many companies are in the cloud in order to run analytics on their data. Cloud companies pitch their solutions as faster, simpler and more streamlined. But these approaches also have downsides: they’re one-size-fits-all and optimized for simplicity, not nuanced customization. For some, this may not be an issue. Small firms and individual data analysts working within larger companies are probably fine to stick with cloud-based solutions. But highly data-based and analytics-oriented companies will be seeking competitive advantage via differentiation and individually tailored results. For these companies, a finely tuned on-premise solution is what’s needed to deliver deep access, customization options and ownership over features and results. Latency is always going to be an issue with cloud-based solutions. For many companies a few hundred milliseconds’ latency is nothing to worry about. But if performance is one of your company benchmarks, then the delay inherent in the cloud can be a make or break factor. Consult with your engineering team to see whether the low latency of an on-premise solution could differentiate your services – or whether cloud-style lag is a-ok for your needs. Your individual business model and performance requirements will largely guide your decision about whether to remain in the clouds or take an earth-bound, on-premises approach. SMEs should stay in the cloud unless in the medical, financial or other sensitive, highly regulated fields. Larger firms with complex data analytics needs should switch to a private cloud or hybrid solution. Others should make a case-by-case decision based on their individual vertical, budgets and overall technical requirements. We know that this is seriously counter to the prevailing winds, but we’re definitely forecasting a weather change from a public cloud to something more controlled – for selected applications and data. Our on-premise business is growing at more than twice the rate of our cloud business, and that difference is accelerating. We’ve also talked to a number of our partners and analysts, and many of them are seeing the start of the same sort of transition. It’s not surprising that there is some balance coming in, where enterprises are learning what works, and what doesn’t, in the cloud.